Doreen, who holds B.A., M.A., and Ph.D. degrees in counseling psychology, was the founder and former director of WomanKind Psychiatric Hospital at Cumberland Hall Hospital in Nashville, Tennessee. She was also an administrator at Woodside Women's Hospital in the San Francisco Bay Area. Both all-women psychiatric hospitals specialized in treating women's psychological issues. Doreen also directed three outpatient psychiatric centers, including an adolescent drug and alcohol abuse center. As a child, Doreen was a natural clairvoyant, seeing and conversing with what many people call "invisible friends." But this natural gift and ability was little understood by the young Doreen and her family, and was the cause of teasing by her friends. Consequently, Doreen learned to deny her abilities, effectively shutting them down before she was mature enough to fully appreciate them. But on July 15, 1995, Doreen's personal life and her career, marked by exemplary but conventional success, would be irrevocably altered by an incident that is nothing short of miraculous. 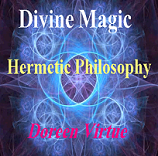 Doreen immediately began a daily rigorous practice of receiving and deciphering her Divine Guidance. Simultaneously, she was reexamining her spiritual beliefs, along with her Western psychological beliefs, the end result being twofold: Doreen was guided to look at psychology from a whole new perspective, and her natural clairvoyance rapidly returned with the same clarity and strength of her childhood experiences. Dr. Virtue's practice then naturally evolved into "Angel Therapy," in which she combined her background in psychology with her spiritual abilities. Today, Doreen is known around the world for her connection with the realm of the angels. She has devoted her lifework to teaching us all how to clearly hear the messages from our angels. "When you work with angels, you can lean upon their light to help you heal at miraculous rates and in amazing ways. The angels can help us heal physically, spiritually, emotionally, and financially." 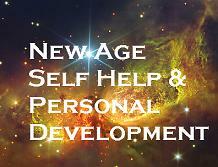 She conducts experiential workshops on spiritual psychological issues worldwide. Many of her students are medical and psychological professionals, including M.D. 's, R.N. 's, psychologists, and social workers. Doreen conducts a call-in online radio show on Hay House Radio. For specific shows schedules and more information, visit Hay House Radio. A frequent talk-show guest with appearances on Oprah, CNN, Good Morning America, The View with Barbara Walters, Donny & Marie, Roseanne, and other national programs, Doreen is also a columnist for several monthly publications. Magazines and newspapers that have featured her work include McCall's, TV Guide, Woman's Day, First for Women, Vegetarian Times, Lotus, Woman's World, Miracles, Bridal Trends, USA. Today, The Los Angeles Times, The New York Daily News, The Boston Globe, Men's Fitness, Shape, and The Denver Post. Among Doreen's most recent works include: the Connecting with Your Angels Kit, to assist you in getting to know and understand your angels; and the Angel Medicine book, where she demonstrates how to heal the body and mind with the help of the angels. "The angels are with us as a gift from our Creator, and their aim is to establish peace on Earth, one person at a time. Working wing-in-hand with the angels, I believe that this goal is possible. May your inner light burn brightly today, and all the days to come." 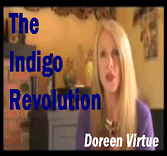 Doreen Virtue is an American author and self proclaimed "spiritual doctor of psychology"; she has a doctorate in counseling psychologyand is the founder and former director of WomanKind Psychiatric Hospital at Cumberland Hall Hospital in Nashville, Tennessee, as well as the founder of her spiritual healing method, "Angel Therapy". Virtue has written over 50 books including a collection of oracle card decks on the subject of angels and other new age topics. Virtue currently writes for the publishing company Hay House and has a number of books, audiobooks and oracle card decks, published with them on various topics such as angels, fairies, indigo children, and ascended masters. 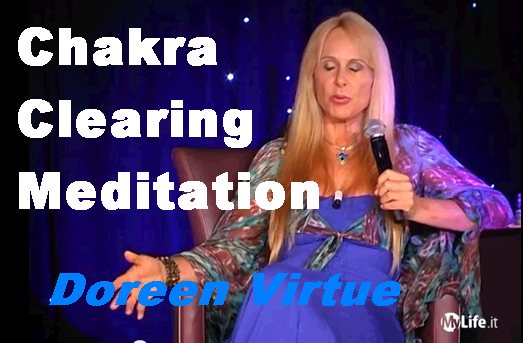 Virtue conducts spiritually-oriented courses and workshops, hosts a call-in radio show on Hay House Radio, and speaks at new thought conferences, including Mishka Production's Celebrate Your Life! and Hay House's annual I Can Do It! conference. Alice Bailey - Her works, written between 1919 and 1949, describe a wide-ranging system of esoteric thought covering such topics as how spirituality relates to the solar system, meditation, healing, spiritual psychology, the destiny of nations, and prescriptions for society in general.